Hey, friends! I moved my travel post to Tuesday, so I could tell y'all I have joined with a bunch of great ladies to giveaway $140 to Sephora and the Too Face Le Grand Chateau palette! In the free entry, if you saw the giveaway through my blog, please enter The Siberian American. Thank you! Sign up for our Blogger Christmas Cheer Exchange! 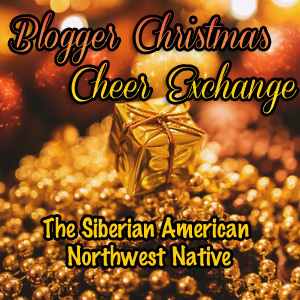 Also, if you missed my announcement on Friday, Mattie at Northwest Native and I are hosting a Blogger Christmas Cheer Exchange! All the details can be found here. Click here to sign up for the Christmas Exchange! Giveaways are always so much fun, especially when the gift card is to Sephora! Great giveaway! Who doesn't love Sephora!? woohoo, entered!!! Love me some Sephora. This is a great one! Thanks!